TALLAHASSEE, FL – The Florida Retail Federation (FRF), the state’s premier trade association representing retailers for over 75 years, announced today that consumer spending on Halloween is expected to once again set an all-time high with the average person spending more than $86, up from $83 in 2016. Total spending nationally on Halloween is expected to reach $9.1 billion up from $8.4 billion last year. According to a recent survey done by FRF’s national partners at the National Retail Federation, consumers are expected to spend an average of $86.13, up from last year’s $82.93, with 179 million Americans planning to partake in Halloween festivities, up from 171 million in 2016. According to Candystore.com, the most popular Halloween candy in the Sunshine State, based on sales data from 2007-2016, are Skittles (630,938 pounds sold), followed by Snickers (587,385) and Reese’s Cups (224,637). The top three most popular Halloween candies across the country are Skittles, Reese’s Cups and M&M’s. ATLANTA, GA – The Georgia Retail Association (GRA), the state’s premier trade association representing retailers for over 50 years, says Georgia families will spend more than ever on Father’s Day this year. Consumers are expected to spend an average $134.75 for the holiday, up almost $10 from last year’s $125.92. Total spending nationwide is expected to reach $15.5 billion, the highest in the survey’s 15-year history and almost a billion more than last year. According to GRA’s partners at the National Retail Federation’s annual survey conducted by Prosper Insight and Analytics, consumers plan to spend $3.3 billion on special outings such as dinner, brunch or other types of a “fun activity/experience” (given by 48 percent). Clothing (given by 46 percent) and gift cards (given by 43 percent) are tied at $2.2 billion each while consumer electronics (given by 21 percent) follow at $1.8 billion. As with Mother’s Day, greeting cards are the most commonly purchased gift at 64 percent but account for only $861 million of projected spending. Other popular gifts include personal care, automotive accessories, books, music, home improvement/gardening supplies and sporting goods. The survey found 27 percent of shoppers will opt for a “gift of experience” such as tickets to a concert or a sporting event. The largest projected growth category was for “personal care” items such as cologne, razors, aftershave, etc. where spending is expected to be 20% higher over last year. 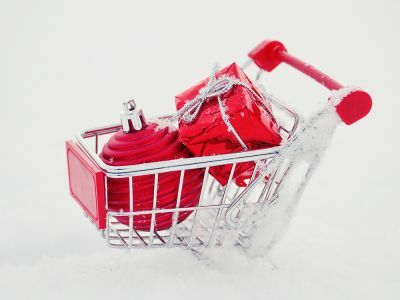 When searching for the perfect gift, 40 percent of consumers will head to department stores and 34 percent will shop online while 26 percent will shop at a discount store, 24 percent at a specialty store and 19 percent at a local small business. Among smartphone owners, 33 percent will use them to research gift ideas but only 18 percent will use them to make a purchase. Tablets are used more frequently both to research (32 percent) and buy (19 percent). More than half of those surveyed plan to buy for their father or stepfather (54 percent), while others will shop for their husband (29 percent) or son (10 percent). Since 1961, the Georgia Retail Association has been working on behalf of the retail community to unite and pursue the common goal of creating the best environment for retailing in Georgia. Retail supports 1 out of 4 jobs in the state and is directly and indirectly responsible for 78% of Georgia's gross domestic product. The Georgia Retail Association is a division of the Florida Retail Federation. ATLANTA, GA – The Georgia Retail Association (GRA), the state’s premier trade association representing retailers for over 50 years, says Georgia families will spend more than ever on graduation gifts this year. With more consumers buying for graduates this year – 36 percent compared with 34 percent in 2016 – total spending nationally is expected to reach $5.6 billion, topping last year’s record of $5.4 billion. According GRA’s national partners at the National Retail Federation’s annual survey by Prosper Insights & Analytics, the $5.6 billion total is the highest in the survey’s 11-year history. Cash will once again be the most popular gift, given by 53 percent of those surveyed as they seek to help students with the costly transition from high school to college or college to the “real world.” However, cash gifting is at a survey low in 2017, dropping about 10 percent from highs recorded in 2007 and 2009. Greeting cards follow at 41 percent, gift cards at 33 percent, apparel at 16 percent and electronics at 11 percent. While ages 18-24 are the most likely to give a gift to graduates (at 48 percent), they maintain the smallest budgets at $78.42. The biggest spending is likely to come among parent-age 45-54-year-olds at $119.84 as well as those in the grandparent bracket of 65+, who plan to spend an average $112.34. ATLANTA, GA – The Georgia Retail Association (GRA), the voice of Georgia retailing for more than 50 years, is expecting record breaking spending for moms in 2017. Mother’s Day shoppers will shower their mothers by spending an average of $186.39—up significantly from last year’s $172.22 average. Total spending on this year’s holiday is expected to reach $23.6 billion. According to GRA's partners at the National Retail Federation’s annual survey, conducted by Prosper Insights and Analytics, this year's per person spending is the highest in the survey’s 14-year history. Consumers plan on spending $5 billion on jewelry, $4.2 billion on special outings such as dinner or brunch, $2.6 billion on flowers, $2.5 billion on gift cards, $2.1 billion on clothing, $2 billion on consumer electronics, and $1.9 billion on personal services. The most significant increases from last year are in jewelry spending, which is up 19%, and personal services which are up 15%. The survey also found a difference in shopping habits based on the age of both the consumer as well as the recipient. For example, “gifts of experience,” such as tickets to a concert continue to be on the rise with 28% desiring such gifts and nearly half of the consumers surveyed under age 35 plan on giving such a gift. According to the survey, 35% of consumers will head to department stores, and 31% will shop at specialty stores such as florists, jewelers, or electronic stores, while 24% will shop at a small local business. As for online shopping, the survey found that 30% of consumers are expected to shop online, which is up from 27% last year. The survey asked 7,406 consumers about their Mother’s Day plans and was conducted April 4-11. It has a margin of error of plus or minus 1.2 percentage points. NRF is the world’s largest retail trade association representing discount and department stores, home goods and specialty stores, Main Street merchants, grocers, wholesalers, chain restaurants, and Internet retailers from the United Sates and more than 45 countries. Retail is the nation’s largest private sector employer, supporting one in four U.S. jobs—42 million working Americans. Contributing $2.6 trillion to annual GDP, retails is a daily barometer for the nation’s economy. ATLANTA, GA – The Georgia Retail Association (GRA), the state’s premier trade association representing retailers for over 50 years, says Georgia families will increase their Easter spending to record levels this year, with the per person average expected to top $152, up four percent from 2016. The total expected to be spent nationally is $18.4 billion, up six percent from last year’s record of $17.3 billion and the highest in survey history. According to the survey, which was conducted by GRA’s national partners at the National Retail Federation, consumers will spend $5.8 billion on food (purchased by 87 percent of shoppers), $3.3 billion on clothing (50 percent), $2.9 billion on gifts (61 percent), $2.6 billion on candy (89 percent), $1.2 billion on flowers (39 percent), $1.1 billion on decorations (43 percent) and $788 million on greeting cards (48 percent). The 50 percent of consumers planning to buy clothing is up from 45 percent last year and is the highest level in a decade while the $3.3 billion expected to be spent is up 9 percent from last year. Consumers plan to celebrate Easter in several different ways: 61 percent will visit family and friends, 57 percent will cook a holiday meal, 52 percent will go to church and 17 percent will go to a restaurant. Children will have plenty to look forward to after the Easter Bunny arrives: 35 percent of consumers will have an Easter egg hunt and 16 percent will open gifts. In addition, some consumers will celebrate with more leisurely activities: 43 percent will watch TV, 10 percent will shop online and 9 percent will head to the movies or shop in a store. ATLANTA, GA – The Georgia Retail Association (GRA), the state’s premier trade association representing retailers for over 50 years, announced today that spending for St. Patrick’s Day is expected to reach a record of $37.92 per person this year, which would set a record. The total amount spent nationally is expected to top $5.3 billion, up significantly from last year’s total of $4.4 billion. According to GRA’s partners at the National Retail Federation’s annual survey conducted by Prosper Insights & Analytics, spending for St. Patrick’s Day is expected to reach $5.3 billion, an all-time high in the survey’s 13-year history. More than 139 million Americans plan to celebrate the Irish holiday, and are expected to spend an average of $37.92 per person, up from last year’s $35.37 and a new record that tops the previous record of $36.52 set in 2015. The $5.3 billion total is up dramatically from last year’s $4.4 billion and tops the previous record of $4.8 billion set in 2014. According to the survey, 83 percent of celebrants will wear green to show their Irish pride, 31 percent plan to make a special dinner and 27 percent will head to a party at a bar or restaurant. Twenty-three percent will decorate their homes or offices in an Irish theme and 15 percent will attend a private party. In addition, 15 percent are planning to attend a St. Patrick’s Day parade, especially those living in the Northeast (21 percent). The survey found that 52 percent of celebrants will purchase food, 41 percent beverages, 28 percent apparel or accessories, 22 percent decorations and 14 percent buy candy. Of those making purchases, 39 percent will go to grocery stores, 29 percent to discount stores, 21 percent to bars/restaurants and 18 percent to department stores. The holiday is most popular among individuals 18-24 years old, with 77 percent celebrating, but those 25-34 will be the biggest spenders at an average $46.55. The survey, which asked 7,609 consumers about their St. Patrick’s Day plans, was conducted February 1-8 and has a margin of error of plus or minus 1.1 percentage points. ATLANTA, GA – The Georgia Retail Association (GRA), the state’s premier trade association representing retailers for over 50 years, says Georgia families will decrease their Valentine’s Day spending slightly this year, which reverses a decade-long trend of increasing spending. The average consumer will spend $136.57 in 2017, down from last year’s record high of $146.84, but total spending nationally is still expected to reach a robust $18.2 billion. According to GRA’s partners at the National Retail Federation’s annual survey conducted by Prosper Insight and Analytics, starting at an average $119.67 for a total of $16.9 billion in 2007, Valentine’s spending grew most years over the past decade before hitting last year’s record. But the number of people surveyed who plan to celebrate the holiday has dropped by nearly 10 percentage points over the same period from 63 percent in 2007 to 54 percent this year. This year’s survey found consumers plan to spend an average $85.21 on their significant other/spouse, $26.59 on other family members such as children or parents, $6.56 on children’s classmates/teachers, $6.51 on friends, $4.27 on co-workers, and $4.44 on pets. Consumers plan to spend $4.3 billion on jewelry (given by 19 percent of shoppers), $3.8 billion on an evening out (37 percent), $2 billion on flowers (35 percent), $1.9 billion on clothing (19 percent), $1.7 billion on candy (50 percent), $1.4 billion on gift cards/gift certificates (16 percent) and $1 billion on greeting cards (47 percent). Also popular this year are “gifts of experience” such as tickets to a concert or sporting event, a gym membership or an outdoor adventure. While 40 percent of consumers want an experience gift, only 24 percent plan to give one. Consumers plan to shop at department stores (35 percent), discount stores (32 percent), online (27 percent), specialty stores (18 percent), florists (18 percent), and local small businesses (15 percent). ATLANTA, GA – The Georgia Retail Association (GRA), the state’s premier trade association representing retailers for over 50 years, announced today that the upcoming shopping season looks very bright for Georgia’s retailers. Thanks to a state economy that continues to grow, more residents employed thanks as evidenced by a low unemployment rate and increased consumer confidence, which means more consumers feeling comfortable about spending money, GRA is predicting a successful holiday shopping season for Peach State retailers. Consumers are expected to spend an average of $935 on gifts, which is down slightly from 2015’s average of $952 according to GRA’s partners at the National Retail Federation, but the total spending is expected to increase to more than $655 billion, up from $630 billion last year thanks to the continued growth and spending of Millennials. The holiday shopping season accounts for 20-40 percent of a retailer’s annual sales and steady year-over-year sales shows increasing economy stability. Georgia’s retail industry totals more than 121,000 businesses which employ 1.3 million Georgians, and is responsible for one out of every four jobs. In an effort to attract shoppers of all types, retailers will be offering exclusive incentives, low prices, price-matching options, hot-selling toys and free shipping, which continues to be one of the most popular requested promotions each year. Peach State shoppers will load up on the most popular items this year, led by gift cards for the 10th year in a row, followed by apparel and footwear, toys and games (not including apps or video games), men’s and women’s accessories, cosmetics and fragrances, and electronics. The most popular toys this holiday season will include Nerf items, LEGOS, toys from Disney Junior channel cartoons, microphones, drones and merchandise from two movies expected to drive millions to the theaters: Trolls and Star Wars: Rogue One. The big ticket items include smartphones and tablets, TVs, video games and video game systems. The stores that will see the biggest increases in 2016 include health and personal care stores, building material, garden equipment and supply stores, and electronics and appliance stores. One piece of advice to shoppers is if you see a good deal on an item early on in your shopping, make sure to buy it then as opposed to waiting and hoping for a better deal. Just as technology has made shoppers smarter and more savvy, it has also allowed retailers to better respond to demand by matching their inventory and not overstocking their merchandise. Speaking of early shopping, 40 percent of shoppers began their holiday shopping before Halloween to help spread out their spending with 29 percent complete by Black Friday. One of the positive impacts of the holiday shopping season is the increase in employment. These jobs include workers stocking inventory, customer service, warehousing and even management. Nationally, the industry is expected to see between 640,000-690,000 seasonal jobs. The increase in hiring and the increase in economic activity during the holiday season have a positive impact on industries outside of just retail. Nationally, the industry is expected to see between 640,000-690,000 seasonal jobs, which is in line with last year’s total. For the tenth year in a row, gift cards are the most popular requested and given holiday gift, with 61 percent saying they would like to receive gift cards. 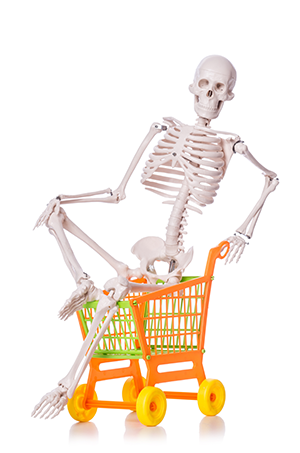 ATLANTA, GA – The Georgia Retail Association (GRA), the state’s premier trade association representing retailers for over 50 years, announced today that consumer spending on Halloween is expected to set an all-time high with the average person spending almost $83, up from $74 in 2015. Total spending nationally on Halloween is expected to reach $8.4 billion up from $6.9 billion last year. “More families are making a bigger deal out of Halloween each year, with consistent increases in per consumer spending, which should make for frighteningly good sales figures for retailers this month,” said GRA President and CEO Randy Miller. “Savvy Georgia retailers will utilize sales and discounts on top of the increased consumer interest to help spur even more sales and separate themselves from their competitors." According to GRA’s partners at the National Retail Federation’s Halloween Consumer Spending Survey conducted by Prosper Insights & Analytics, U.S. consumers are expected to spend an average of $82.93, up from last year’s $74.34, with more than 171 million Americans planning to partake in Halloween festivities this year. According to the survey, consumers plan to spend $3.1 billion on costumes (purchased by 67 percent of Halloween shoppers), $2.5 billion on candy (94.3 percent), $2.4 billion on decorations (70 percent) and $390 million on greeting cards (35.4 percent). When it comes to preparation, 71 percent of consumers plan to hand out candy, decorate their home or yard (49 percent), dress in costume (47 percent), carve a pumpkin (46 percent), throw or attend a party (34 percent), take their children trick-or-treating (30 percent), visit a haunted house (21 percent) or dress their pet(s) in costume (16 percent). Searching for the perfect costume inspiration will lead consumers to sources such as online (35 percent) and in-store (29 percent). Social media is the fastest-growing influencer for the perfect costume, particularly Pinterest (17 percent), which has seen 133 percent growth since 2012. Some other places for inspiration include friends/family (19 percent), Facebook (17 percent), pop culture (16 percent) and print media (14 percent). When it comes to where consumers will shop for the season, 47 percent of shoppers will visit discount stores to buy their Halloween-related items this year and 36 percent will visit a specialty Halloween/costume store, up from 33 percent last year. In addition, 26 percent of customers will visit grocery stores/supermarkets, 23 percent will visit department stores and 22 percent will shop online. The survey asked 6,791 consumers about Halloween shopping plans. It was conducted September 6-13 and has a margin of error of plus or minus 1.2 percentage points. ABOUT THE GEORGIA RETAIL ASSOCIATION Since 1961, the Georgia Retail Association has been working on behalf of the retail community to unite and pursue the common goal of creating the best environment for retailing in Georgia. Retail supports 1 out of 4 jobs in the state and is directly and indirectly responsible for 78% of Georgia's gross domestic product. ATLANTA, GA– Good news for Georgia's retailers as the Georgia Retail Association (GRA), the voice of Georgia retailing for more than 50 years, says that per person spending will be up slightly over last year’s high, with more people expected to celebrate the holiday leading to higher total spending. Consumers will spend an average of $71.34 per household on food for barbecues and picnics, supplies and decorations, essentially unchanged from last year’s $71.23. Total spending nationwide is expected to reach almost $7 billion, up 1.4 percent from 2015. According to GRA’s partners at the National Retail Federation’s 2016 Independence Day Survey conducted by Prosper Insights & Analytics, 65 percent plan to attend a cookout/barbecue/picnic while 43 percent will watch fireworks or join another community celebration and 12 percent will attend a parade. The survey also found that American families are well-stocked on patriotic items: Nearly two-thirds own a U.S. flag, half own patriotic-themed apparel such as T-shirts and hats and a third own patriotic decorations. Nonetheless, 25 percent plan to purchase more of these items in preparation for the holiday. The weekend is also a popular time for travel and vacations with 13 percent, or 31 million, saying they will head out of town. With gasoline prices relatively low, only 21 percent said gas prices will affect their travel plans, down from 22 percent last year and a peak of 47 percent when gas prices were higher in 2011. The survey of 6,811 consumers was conducted June 1-7 and has a margin of error of plus or minus 1.2 percentage points. Since 1961, the Georgia Retail Association has been working on behalf of the retail community to unite and pursue the common goal of creating the best environment for retailing in Georgia. Retail supports 1 out of 4 jobs in the state and is directly and indirectly responsible for 18% of Georgia's gross domestic product.